Few deny that cats hold a special place on the internet. Images and videos of cats flood so much of the web that the very subject of online cats is frequently deployed as a shorthand to dismiss internet leisure time, implying that internet cats and everything they stand for are frivolous distractions from humanity’s more pressing matters. But the very fact that cats seem to permeate every corner of the internet, hold so much of our attention, and spill so much ink demands a deeper examination. How Cats Took Over the Internet addresses this phenomenon as vernacular culture. Since the beginning of the web, cat owners have used available consumer technology to collectively celebrate, lampoon, and investigate their mercurial pets. Today, the avalanche of attention paid to cats online has elevated many to celebrity status, netting them agents, sponsorships, book deals, and more. 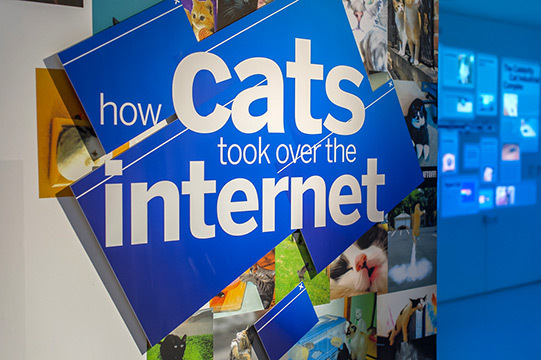 How Cats Took Over the Internet investigates the myriad reasons for this phenomenon, examining the data and unearthing what our captivation with internet cats ultimately tells us about ourselves.